It’s Friday 13th !!! Why not open an umbrella indoors ? It’s like math. As long as you do an even number of unlucky things, they cancel themselves out. So go for it! It’s already Friday 13th and one is an odd number. You’ve got to do something. Gusty March is when your umbrella is most alive. Alive in the sense that March’s infamously windy reputation will cause your brolly to whirl and dance more friskily than usual, rather than March being the month that the Zombie Umbrella Apocalypse finally arrives. Chances are that you won’t need to sleep with one open eye trained on Mr. Duck Handel certain in the terrifying knowledge that if you rest both peepers, you will wake up to discover his crazed deadwood beak feasting upon your delicious brains. The Zombie Umbrella Apocalypse but, just in case, placate your favorite rain protector by celebrating how important it is to for the rest of the month. There is no better way to bond. Take your umbrella everywhere you go, work, the movies, ER. Your umbrella is always opening for you, show that this is not a one way relationship and open up to your umbrella by attending a therapy session together. If this is a new experience for your umbrella, it might be shy so spare its blushes and throw your voice if it say anything in front of your psychiatrist . You are going to get good value for this session. An umbrella stand. Don’t just lean your best buddy in the corner by the front door. Let it enjoy its down time in style … in a milk crate. Gene Kelly didn’t know how to use an umbrella but he did know how to dance. Gene’s umbrella became the richest, most famous umbrella of its generation before an early overweight demise in a public convenience. You don’t have to drip Hollywood’s light shower fantastic but a quick rain or river dance once in a while is sure to be appreciated. Dress up as a Victorian governess and terrify some rich kids when, together, you descending from the sky to force feed them strawberry cough syrup and mental possess their toy collection. Umbrellas already come in all colors ( except puce ) but how many are covered with rhinestones, glitter and play Achy Breaky Heart when opened? Not many. Now’s your chance. 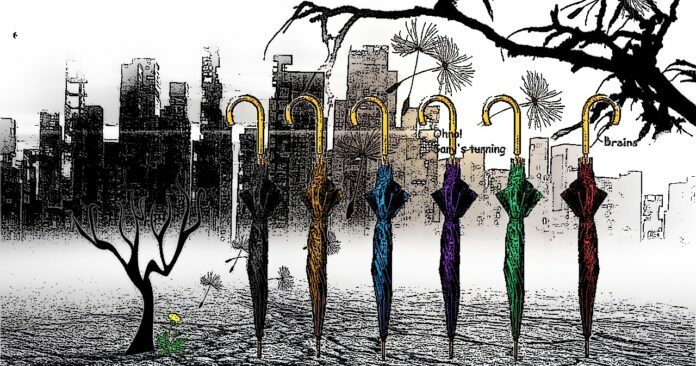 You could even check out something like this Ibrolly Custom Umbrellas USA to help you get the umbrella you want. Book Rhianna – anna – anna to sing her first big hit. You’ve been meaning to pump that iron for an age. When you’ve worked up that sweat why not help your buddy tone its water resistant muscles by prancing around in the showers before a few opening up reps under the hand driers. It’s a rainy day! Time to spend all your savings. It’s okay. Your umbrella usually protects you from the consequences of splashed water, maybe it will be the same with money. Set up a company that acts as an employer to agency contractors who work under a fixed term contract assignment, usually through a recruitment employment agency in the United Kingdom.